Ramdesh is a beautiful, radiant yogini inside and out. Her commitment to sharing the teachings of Kundalini Yoga as taught by Yogi Bhajan (R) is unparalleled. 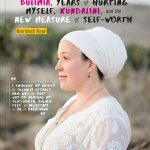 She is a force of nature – prolific in her writing, her guided meditations, & as the host of the Spirit Voyage Radio with Ramdesh…which has been completely dedicated educating and inspiring people around the globe with her passion for Kundalini Yoga & mantras. Ramdesh is on a mission to revolutionize the way we feel about our bodies. As mainstream media continues its brainwashing campaign designed to make us all reach for an unattainable standard of beauty, Ramdesh invites us to embrace our body and to begin to recognize and treat it as the temple that it truly is. Ramdesh is the perfect example of being authentically true to your life and your experiences. As we embrace who and what we are and share ourselves with the world, we honor our Soul and allow others to feel and experience the benefits of our wisdom. This is how true healing happens. 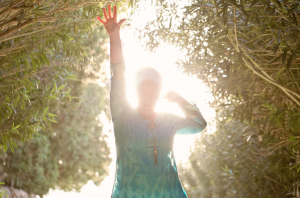 We are honored to share this interview with you, as Ramdesh discusses the creation of The Body Temple: Guided Meditations For Radical Self-Love and her own Kundalini Yoga practice with us. Spirit Voyage: What was your inspiration for this album? 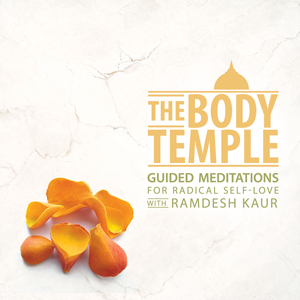 Ramdesh: I began writing my upcoming book “The Body Temple: Kundalini Yoga for Body Acceptance, Eating Disorders, and Radical Self-Love” and as I wrote my story about accepting my own body and healing from eating disorders, I realized that I needed to hear words deep within my own subconscious over and over to reaffirm self-love. After a lifetime of negative thoughts, I wanted more and more chances to play a new soundtrack in my mind, and I knew that if I needed this, chances are other people need it too. So I began to think about all the aspects of my journey with self-love…what helps me? Where do I need to support myself? Where do I think others need support? And little by little, the meditations that needed to be on this album became clear to me. I made all the tracks an ode to self-love, one that I would want to repeat over and over as a way of deeply infusing kindness, compassion and love into the listener. Spirit Voyage: What makes this album different from the rest of the albums in your catalog? Ramdesh: A few different things…I worked with Ram Dass Khalsa on this project and he created amazing background music that utilize the technology of Binaural Beats and Delta Waves to enhance the relaxation experience for the listener. It’s the only album so far where the music supports my voice, but there’s no vocal singing in the background as well, so that is definitely a new experience for the listener. I also have a guided eating meditation recorded here, which is the first time I’ve shared anything like this. Spirit Voyage: Can you share a story from the making of this album? Ramdesh: One of the best parts of making an album is finding the “magic” in the takes. I’ve had producers start crying while I’m recording, and I’ve entered into deep meditation while going through a take. One interesting story from making this album is that while we were listening to the Delta Wave and Binaural beat music, I began recording a spontaneous guided meditation (the meditation to the Body Temple) and my producer fell asleep. To me that is actually the highest compliment, because he was so relaxed by the music and my voice that his brain waves changed. Ram Dass is a wonderful musician and producer, and also a great friend, so I don’t think he’ll mind me sharing that. All of my albums are relaxing but I think this music also uses the technology of Delta Waves to produce a very relaxed state. The relaxed mental state is a receptive mental state, so that then allows my meditations and affirmations to penetrate the subconscious more deeply and help create a state of radical self-love. Spirit Voyage: Is there something that your fans would love to know from the making of this album? Ramdesh: It was the first time I recorded in my own house, so I think it has a very cozy, comfortable quality to it that is deeply personal to me for so many reasons. My producer and I shared many Chanupa ceremonies, which is a powerful Native American healing and pipe prayer, together in the making of it. So it definitely does have a new energy within it that is born from the wisdom of the earth. Spirit Voyage: Are there any special contributors to this album? If so, tell us about them! 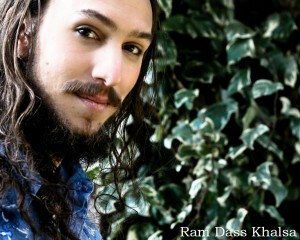 Ramdesh: A huge shout out to Ram Dass Khalsa, who is my producer and the musician on this album. He is such a good friend. He brought so much Native American healing into our spaces, with Chanupa ceremony, and kept me so relaxed through the process. He was born into the Kundalini tradition and toured with Snatam Kaur. When I asked if we could do Delta Wave and Binaural beats together, he said yes immediately. I adore him! Check out part 2 of this interview with Ramdesh here! 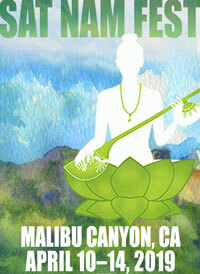 Editor’s Note: Ramdesh’s Guided Meditations discography will change your life for the better! You can check out her discography here! Are you signed up to receive weekly emails from Spirit Voyage? Every week, we share a free download of music or yoga kriyas, yoga instructions & tips for Practicing, weekly horoscopes, music & meditation videos, and more! You can sign up here!